Fusion Resource Solutions is an IT company based in Palm Springs, CA that specilizes in solutions for desktop, mobile, and web. Our company was founded on a simple principle: Create excellent products combined with superior customer service. Our leadership has a background in IT and it is with that experience that the idea of Fusion Resource Solutions was born. You see our team has had too many experiences with technology products that were either a poorly designed product or a good product with terrible customer service, potentially both. It is our desire to have the best of both. A world class design with the best customer service you will find anywhere. Bill Oliver has over 22 years of experience in the IT Industry. 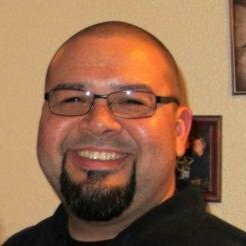 He got his first IT job while attending college at UNLV. He has risen through the ranks of various companies where he has held positions with increasing levels of responsibility. Bill's project experience includes technical support, implementation and design, information systems, gaming technology, and team leadership. Bill is responsible for the overall company direction and business development activities. 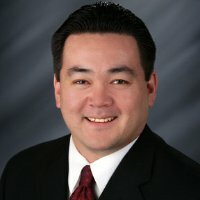 Ralph Kato has been in the IT industry for more than 15 years. He started as a web developer for many years and also has been a team leader. He also spent more than a decade in leadership positions with the Boys and Girls club. Ralph's project experience includes application and web development, project management, and technical support. Ralph is responsible for daily operations and project management. Our products were not built by people who will never use them. Our leadership has years of IT experience and as a result has forged relationships with partner companies that help us develop the technology by actually implementing it and providing our developers with what works and what doesn't. As a result, our customers get a finely tuned product that has been used in a real environment over time.